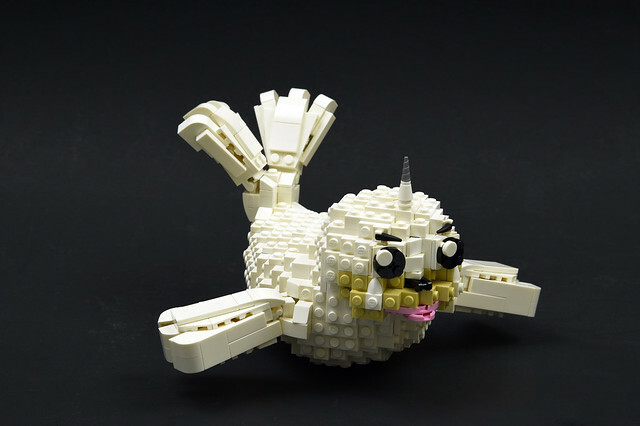 In his ongoing quest to "Build 'Em All", builder lisqr is back with another Pokemon. This time it's Seel, a water Pokemon that evolves into Dewgong at level 34, becoming 22% less cute in my opinion. The most unfortunate thing about this Pokemon is it thrives in conditions that will kill most trainers, so you'll need a big coat to see it in it's element, but your drinks will not need ice.